There has been an increasing focus on energy security in the Indian scenario as the country is dependent on fossil fuels to fulfill most of its energy needs. Energy scarcity is impending in the Indian framework. Over the last few years, the Indian government has been keen in its approach to encourage energy efficiency and adopt renewable energy through various policies and mechanisms. KNPL has been following a two-pronged approach to overcome this sustainability challenge. Firstly, it has focused on the improvement of energy efficiency through consumption monitoring and adoption of cleaner technologies. Secondly, it has been proactively adopting renewable energy to fulfill some of its requirements. The table showcases a snapshot of electricity consumed at KNPL during 2017-18. 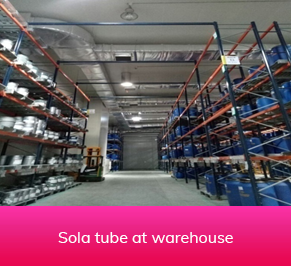 It covers electricity consumption at our manufacturing sites and the head office. Energy is also used in the form of steam and heat in our manufacturing processes. Most of the steam and heat requirements are being met through biomass-based solid fuel boilers. The Company measures progress in energy management through key indicators of specific power consumption, specific fuel consumption and percentage of renewable energy. Method of Calculation: Specific Power Consumption is the ratio of electricity consumed (from all sources) to the total paint production at the respective facility during a specified period. Electricity consumption is a sum of the electricity received from the grid (i.e. 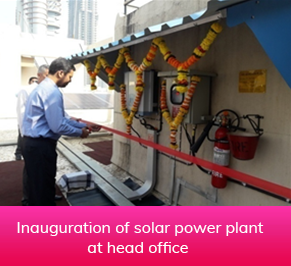 state electricity board), electricity generated from the DG set and electricity from renewable energy sources at the respective manufacturing facility. *Method of calculation of Specific Power Consumption has been changed. Accordingly, the previous year’s data has also been modified for comparability. Method of Calculation: Specific Fuel Consumption is the ratio of fuel (i.e. HSD) consumption in boilers to the total resin production at the respective facility during a specified period. *Method of calculation of Specific Fuel Consumption has been changed. Accordingly, the previous year’s data has also been modified for comparability. Last year, the Company implemented the-below-mentioned major projects to progress further in its energy security agenda. It will help the Company to increase its renewable energy.